We return to our “Turning Ewokese” marathon with Teebo. Relive your memories of this classic 1984 action figure in our Research Droids Reviews today. Be sure to add your own experiences to the conversation! Reminisce your own childhood stories of this figure in our comments. Share your life-changing vintage Kenner adolescent experiences with us! ← TODAY ONLY: TARGET Exclusive Return Of The Jedi 3-Pack 25% Off! 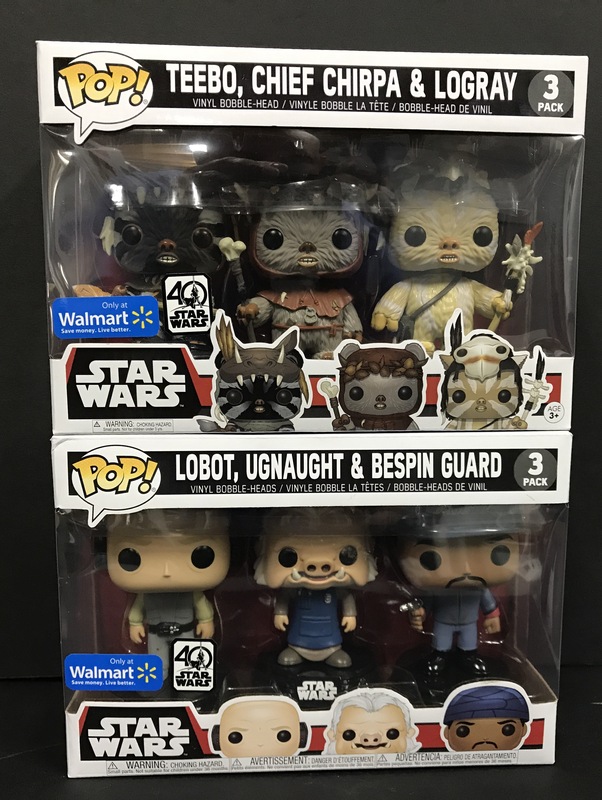 If you still need the Walmart Exclusive 40th Anniversary Funko Pop Bespin 3-pack and Ewok 3-pack in stock they’re on sale for $16.99. Two great sets, especially if you’re looking for all the 40th Anniversary sets at a good price. 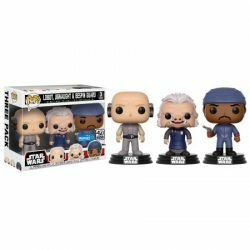 Walmart Exclusive Funko Pop Bespin 3-Pack Now In Stock! If you’re looking for the Walmart Exclusive Funko Pop Bespin 3-pack, it is now available for order online. 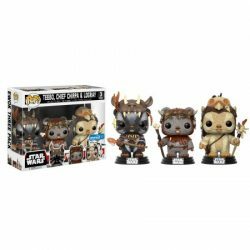 They also still have the Walmart Exclusive Ewok 3-pack in stock, the three pack including Tarful, Emperor, Clone trooper, and another hard to find Walmart Exclusive Pop The Inquisitor is in stock (Along with The fifth brother and Seventh Sister Exclusives)! Phew… Have at it! New Funko Pop! Walmart Exclusives On The Way! Walmart may be scalping their own stock of TBS6  Wave 2 for $46 each, but hopefully that won’t happen to these! Funko releases two new Pop! 3-pack Walmart Exclusives. 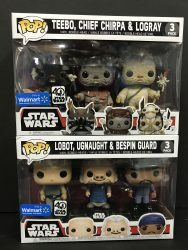 The Ewok (Teebo, Chirpa, Logray) 3-pack and the Cloud City (Lobot, Ugnaught, Bespin Guard) 3-pack. You can find more info in Funko’s Blog.